There are many reasons why Lake Garda is gradually becoming a popular lakeside real estate choice for locals and foreigners alike. Geographically, Lake Garda covers parts of Lombardy, Veneto, and Trentino-Alto Adige. The lake is not only the largest but the most beautiful lake in the whole of Italy. Most home buyers are also attracted to the region by its mild Mediterranean climate. The region also boasts of panoramic landscape views and clean sandy beaches dotted with quaint picturesque towns. It is a treasure trove of the best Italian cuisine and wine. Interest in Lake Garda property has further been enhanced by the region’s rich traditional cuisine made from locally available ingredients to make a tantalizing feast for the senses. For the wine connoisseur, Lake Garda has a wide variety for your taste buds ranging from dry white wines from Trentino-Alto Adige in the north to red and white Garda Classico wines from Lombardy. The region has a high quality of life both in materials used in construction and the aesthetics of houses and apartments. This high quality of life, coupled with scenic landscapes and a vibrant culture, has been the key driver for the increased demand for property in Lake Garda by foreigners looking for a second home in Italy. It is important to first understand the region before you begin your search for property in Lake Garda. The Lake Garda region exhibits two types of social lifestyles. The northern part is considered as more peaceful, serene, and less vibrant than the south. It is a haven for home buyers and tourists seeking for natural picture-perfect sights such as fascinating landscape views of mountains and cliffs overlooking the lake. 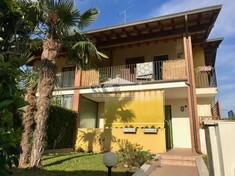 A popular choice for foreigners seeking for quiet homes for sale in the northern shore of Lago di Garda is the scenic town of Limone, which means lemon in Italian. The beautiful waterfront town is stuck against a backdrop high rising cliffs. Limone is well known in Italy for its evergreen groves of lemon and other citrus fruits. In Limone, you can find beautiful 2 bedroom apartments that are habitable and with large terraces giving you panoramic mountain views. If you are looking for the best Lake Garda property in a quiet serene atmosphere, then the northern part of the lake is your best choice. On the other hand, towns located south of Lake Garda are famous for numerous entertainment spots and a vibrant nightlife. The southern part of the lake is also popular for watersports. On the south-western shore of the lake is the town of Sirmione, fondly referred to as the Jewel of the Lake by locals and visitors alike. Famous for its white sandy beaches, and a vibrant café and nightlife culture, Sirmione is one of the most delightful destinations for home buyers seeking to sample the true Italian culture. Other key attractions in Sirmione include the impressive Scaligero Castle and refreshing thermal baths. Desenzano is another popular destination south of Lake Garda with a wide assortment of pubs, discos, open-air cafes and ice-cream parlours. 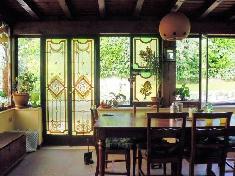 Properties for sale in Lake Garda are available in all forms and styles. 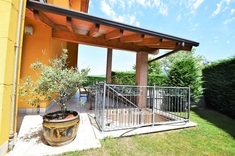 Like everywhere else, the price of properties in Lake Garda largely depends on the location, size, style, and other extra features of the property. For instance, a 6 bedrooms, completely restored and habitable home with 4 bathrooms, garage, and terrace located in Manerba Del Garda, Lombardy may cost around 1.3 million Euros while a similar home that is partially restored in Gargnano goes for approximately 495,000 Euros. 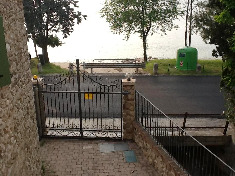 There are many other prestigious villas and apartments constructed in modern designs using finest quality Italian materials in Garda lakeside towns such Desanzano and Sirmione.